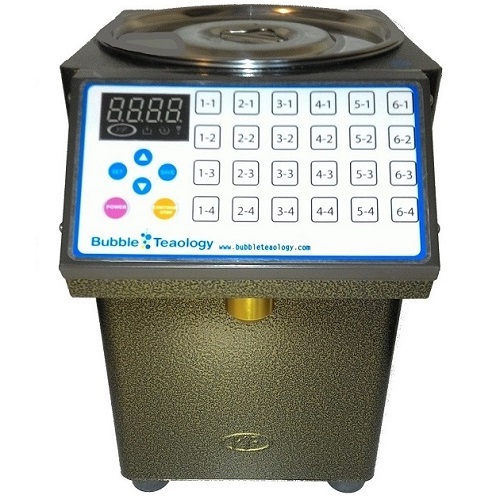 The 9EN is the most popular liquid sugar dispensing model among tea and coffee shop owners. Using an automatic liquid fructose dispenser is the best way to keep your drinks delicious and consistent. Your customer gets the exact amount of sugar that they ordered, every time. Consistent quality is one of the best ways to keep your customers coming back again and again. Having an automatic fructose dispenser will also cut down employee training and costs by simplifying your SOP. A really solid bubble tea syrup dispenser that hasnt missed a beat. Great price too as it was reduced when we brought it. Our staff love it, and say it has made their workload a lot easier by having such a quality piece of equipment, which makes it worth every cent to me. Quick delivery too. Very easy to use. Has really made running my tea shop easier. Before we were just guessing how much sugar to use but with this fructose machine we just have to push a button. Adding this to my coffee shop has made it a lot easier to run. So many buttons to program for sugar levels. Just be sure to clean it. Ours got stuck when we didn’t clean regularly.